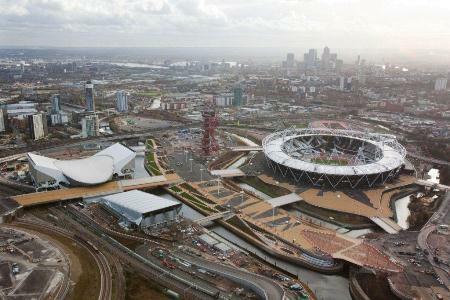 The IPC Academy has announced two major initiatives that will take place during the London 2012 Paralympic Games. Between 6-8 September the IPC Academy Inclusion Summit will take place at the UK Business Embassy's iconic Lancaster House in Central London. The aim of the summit is to bring together business leaders, governments and the Paralympic Movement to discuss inclusion and accessibility's impact on society and how the Paralympic Games can aid societal change through inclusive policies and activities. In 2010 the IPC Academy staged an Accessibility Summit during the Vancouver Paralympic Winter Games and it is hoped this event will be equally as successful. The second major event is the Games Experience Programme, a new initiative that will be held between 3-5 September. It will give governments from around the world and those involved in the Paralympic Games supply chain a greater understanding of the complexities involved in delivering the second biggest sporting event in the world. The programme will give attendees a multi stakeholder perspective of Games management and provide them with unprecedented access to the London 2012 Paralympics to help them fully understand strategic drivers for hosting such an event. Delegates will also observe specific core operating functions of Games delivery. Xavier Gonzalez, Chief Executive Officer of the International Paralympic Committee, said: "We have seen growing interest in the Paralympic Games in recent years and it is our aim to provide more opportunities for people to engage with the Paralympic Movement at all levels." "These programmes are an exciting and natural addition to our Games schedule and we warmly welcome anyone interested to participate in the programmes, engage with the content and be inspired by what the Paralympic Movement brings." For more information or to book a place for either event please contact Sue Whitworth at swhitworth@worldacademysport.com or call +44 161 639 0943.